LifeSpring Community Health hasn't added a story. We are a pediatric clinic that cares for the whole child and a ministry reaching beyond our walls to engage the community. 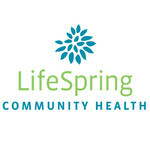 LifeSpring Community Health hasn't posted any updates yet. LifeSpring Community Health is managing the funds for this campaign.